The Summer Lovin' Read-a-Thon is hosted by Reviewing Wonderland. For more info, go HERE. I've been getting behind on my reading a bit lately so I'm excited to be participating in the Summer Lovin' Read-a-Thon. The hosts have a ton of fun stuff planned, and what better time to catch up on reading than when you can sit outside and enjoy the sunshine too? Even though I'm going to read as much as I can, I'm still a slow reader, so I'm pretty sure I won't manage to read more than four books. Here are the four I'm planning to read, and I'll add to this if I manage to finish them! Tell us a little bit about yourself – Where are you from? What’s your favorite genre? What got you reading? Hi guys, I'm Marie. *waves* I've been blogging here at Ramblings of a Daydreamer for a little over two years now, and I'm also an author of contemporary YA and women's fiction (you can read more about my books here if you'd like). I live in Ontario, Canada (Happy Canada Day to my fellow Canadians!). Starting this blog was one of the best things I've ever done. Finding people who love to read as much as I do and who aren't afraid to show that love has been life-changing for me. I've met so many incredible people, and I've been lucky enough to make some wonderful friends. My parents and grandparents loved to read, and they instilled that love in me. Berenstain Bears were among my first favourites, and then like most kids who grew up in the late 80s and early 90s, I was obsessed with Baby-Sitter's Club and Sweet Valley High. From there, I moved on to other YA books as well as adult books, but I got away from YA for awhile until I started blogging and realized that 'books for teens' weren't JUST for teens, they were for everyone. Now I read mostly YA but I love NA and adult too. I have very eclectic tastes - my favourite genre is contemporary romance, but I also love paranormal and fantasy, and I throw in a few sci-fi, post-apocolyptic or dystopian, and mystery novels once in awhile too. There's not much I won't at least try when it comes to reading. List your must-have summer reads (the ones you read over and over again) or give us some of your favorite recommended summer reads. Are you participating in the read-a-thon? 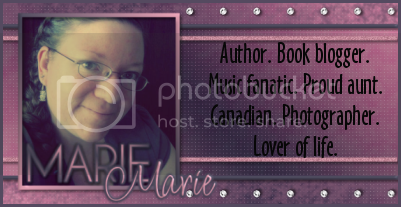 Leave a link to your blog so I can come visit you! It is cool to see authors particpate in a readathon. Good luck reaching your goals. I have really been wanting to read The Boys of Summer. I'm a new follower via bloglovin' too. Aw that's so awesome the your grandparents loved to read!! Happy Canada Day to you too!! I really want to read The Boys of Summer!! Great pick! Ha, I realized there's always a stupid grin on my face whenever we're both participating in a readathon and I stop by your blog to read your intro. Slow readers unite!! So many fantastic books on your list! I love your update buttons.